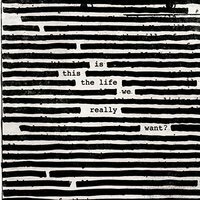 Numerous news outlets are carrying AP coverage of comments Roger Waters made while visiting the the West Bank and Jerusalem, promising to play a show at the site of the Israeli wall there should it come down, an idea that hearkens back to the Live in Berlin performance of 1990. Waters, of course, has never been shy about expressing his opinions on matters of politics, government policy, and human rights issues. Predictably, Israeli government spokesman Mark Regev does not agree with Waters's assessment of the wall as an "exercise of colonialism," stating, "We don't need no education about suicide bombers coming into Israel and murdering innocent people, and how the security barrier has prevented that by more than 95 percent." Also unsurprising is the range of coverage from various other outlets, with Iranian international media referring to it as an "illegal apartheid wall", while Ynetnews notes Roger's concern that Israeli policies may be reducing their standing in the world, as well as international sympathy. Waters was in Jenin as part of Cinema Jenin, a project he is co-sponsoring to reopen the only cinema in the city.